Roses for Easter - Illustration store PicsForDesign.com. PSP tubes, PSD illustrations, Vector illustrations. As Peter cotton Tail makes his way down the bunny trail why not pick up a few roses along the way. 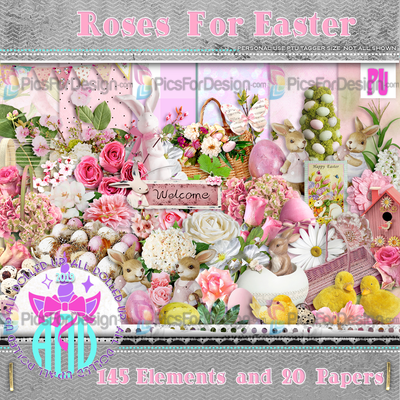 With 145 Elements and 20 papers this kit will have you rolling in the roses. Not all elements are shown in the preview. For personal use only.